Burke Badenhop, one of the Marlins favorite relievers, was traded to the Tampa Bay Rays on Monday in exchange for catcher Jake Jeffries. 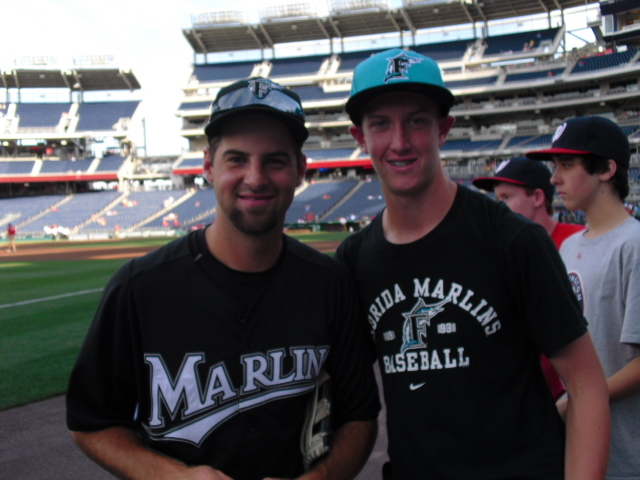 Badenhop was used out of the bullpen for the Marlins in long relief situations, and even performed some clutch hitting for the Marlins, knocking in the game winning RBI in extra innings earlier this year against New York. Other than that, Badenhop was a solid bullpen option and could eat up innings as well as any Marlins starter. Badenhop was acquired in a trade with the Tigers after the 2007 season. Florida sent Miguel Cabrera and Dontrelle Willis to Detroit in exchange for six minor leaguers, most notably, Cameron Maybin, Andrew Miller, and Badenhop. Both Miller and Maybin were dealt after the 2010 season. 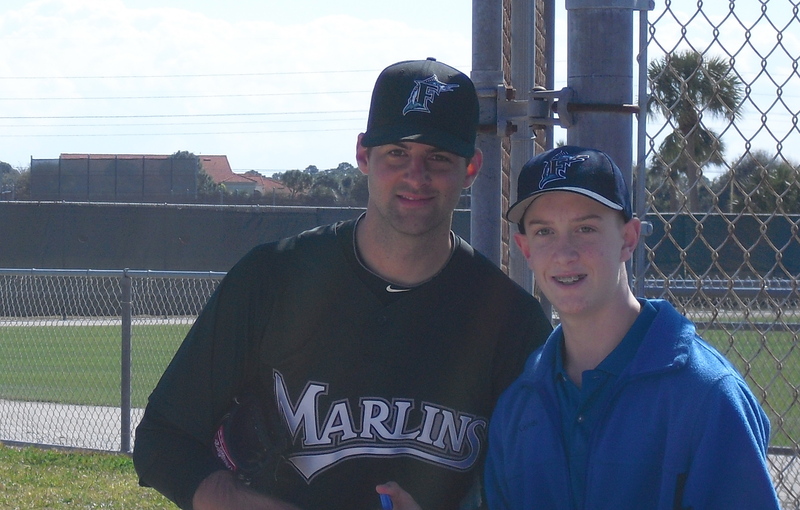 I also talked with him during my 2010 trip to Jupiter for Spring Training. In other news, 34-year-old outfielder Aaron Rowand has signed a minor league deal with the Marlins, which includes an invite to Spring Training. Rowand won a World Series in 2010 with the San Francisco Giants, and should add a positive veteran presence to Miami’s youthful outfield. I guess the Rays are emphasizing on their bullpen more than I thought. With the Marlins’ bullpen issues last year, they probably shouldn’t have traded away Badenhop. I wonder if Rays fans will ever call him “The Hopper”. Badenhop wasn’t a key part of Miami’s bullpen plans for 2012, and any of the starters who don’t make the rotation should be able to fill the long relief void. I think Rays fans will certainly take a liking to him, we’ll see. Reversion to the mean. Were probably a litlte high last year, probably a litlte low this year. TV ratings aren’t precise to begin with. Truth is somewhere probably in the middle. But in there, I think, is a frustration with how many at bats of Kelly Shoppach and the Mendoza line line-up can you watch without losing some enthusiasm. Plus, the chilling double whammy of a payroll slashing and a terrible start and your most famous player being busted for steroids. None of that is helping. Finally, any sports team is a collective enterprise between ownership, fans and players. When ownership is a constant negative force, even the most loyal fans will ultimately pull back. You may be seeing that now. Effectively, Sternberg had told the Pinellas penisula (the people closest to the games) that they and their stadium are not good enough to host major league baseball games for his team. The manager called the stadium a joke and the players called low turnout last September an embarassment (note Longo and Price have been hit by the bad karma ever since those statements). That is not a way to turn on your fan base at the gate or on the tv.